Chanteur et mandoliniste Bluegrass US né Bernarr Busbice, le 6 Septembre 1933 à Eros (Louisiane). Buzz Busby fut un musicien régulier sur le Hayloft Hoedown (WRC-TV, Washington, D.C.) en 1954-1955 et au Louisiana Hayride (KWKH, Shreveport, LA.) en 1955-1956. Buzz a formé avec son frère Wayne le duo des Busby Brothers. Il est décédé le 5 Janvier 2003 à Catonsville (Maryland). The nature of chatter in the research lab changes with the arrival of new personnel, in this case a temporary replacement on filing duty, kind of an opinionated hippie. "Hey, man, no guy named Buzz would ever say anything this, like...uh...negative," was his unwanted take on the controversy surrounding a harsh quotation that seems to have been attributed to the wrong Busby brother. The hippie had been hired because of supposed expertise on bluegrass, especially independent labels such as Pinecastle. Fond of the Busby Brothers, he had made up a marketing slogan: "Double your buzz with Busby." "It was horrible — best I can say for it" was the exact quote in dispute following an effort by Dr. Wayne Busbice — the Wayne Busby in the Busby Brothers — to correct factual errors in biographical information pertaining to the family. Although there would be no argument concerning the veracity of "It was horrible — best I can say for it" had it been said in description of the hippie assistant's slogan for the Busby Brothers, Wayne Busby denies having been the brother who actually made this comment about the family's far from idyllic rural lifestyle. This family with nine children struggled through life on a family farm, picking cotton and raising food both to eat and to sell in order to survive. "It sounds like something Buzz might have said," Dr. Busbice conjectured in 2006. "It definitely does not reflect my opinion," he concludes firmly. Savvy musicologists are moving credit for the comment over to Buzz Busby's column, alongside writer Earl Thompson and "It's a tough life if you don't weaken." "No way Buzz would have said that!" The hippie continued to stand firm although otherwise quick to accept the truthfulness of new data coming in concerning Buzz Busby, i.e., the latest buzz. Not that the temporary assistant's opinion mattered; he would be gone relatively quickly. Faced with a great deal of other negative incidents in this particular artist's career, so would any kind of happy-go-lucky vibe associated with dudes nicknamed Buzz. In 1961, for example, narcotics detectives claimed the musician's nickname had led them to him, resulting in a conviction for forging an amphetamines prescription and a three-year prison sentence, eventually shortened with the help of legislators who liked bluegrass picking. It is this type of detail that makes sections of the Buzz Busby biography seem as lurid as a film noir. One paragraph begins, practically drooling: "Buzz Busby, whose professional career would go down the tubes due to alcoholism and drug addiction...."
"Buzz Busby, who hails from the town of Eros. Sounds like he would be loads of fun to hang out with, if he would just put that damn mandolin down," was how this story started out originally, instantly leading into a major factual error. "We're lucky we're not in jail," the entire research staff was informed after receiving new information directly from a Busbice family member. "We have made a mistake concerning the FBI." While it seems commonly reported in material concerning the early days of country and western on radio that Buzz Busby was an "ex-FBI agent," in reality he apparently never finished the training. He should be described more accurately as an "FBIWB" or "FBI-wanna-be." Furthermore there is a gross inaccuracy in data concerning something of a holy grail in these situations, that first guitar. "He was born Bernarr Busbice," the buzz-ography begins innocently enough. "The youngest...and at an early age was exposed to music, including helpful guitar lessons from an older brother on the family Sears mail-order guitar." That older brother would be known professionally as Wayne Busby, and he has this to say: "Regarding the 'Sears mail order guitar' the truth is more interesting. A neighbor gave us that guitar — we earned it by picking cotton for him for an entire week." One of the main research assistants, something of a shadowy character, needs to be checked out for possible conspiracies regarding product placement for Sears: the chain store may have been making deals involving equipment he uses in his hobbies, chainsaws and so forth. The facts become more reliable once guitars are in hand. A brother band developed as Wayne Busby and LeMoyne Busby began fooling around on guitars, passing their acquired knowledge of country music over to their younger brother, all of eight at the time. The family grew up listening to radio shows such as Louisiana Hayride — a show that Buzz Busby would wind up appearing on, although accounts of the era sometimes place other Busby siblings in the lineup. With some rudiments of music under his belt, Buzz Busby taught himself mandolin. His reputation was mostly made with the instrument in the little bitty case, although his bank account benefited even more from his activities as a songwriter, resulting in several strong country hits and the subsequent arrival of royalty checks. Busby was part of a novelty duo called Buzz and Jack with the talented songwriter and performer Jack Clement in 1953 and in the following years was featured with regularity on the television show Hayloft Hoedown on WRC-TV out of Washington, D.C. 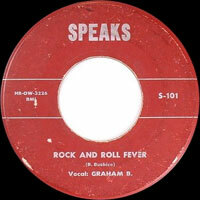 He was a regular from 1955 through 1956 with his group the Bayou Boys on the aforementioned Louisiana Hayride, a popular show which broadcast on Shreveport's KWKH. 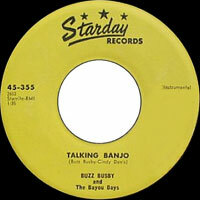 Busby leased out one of his early recordings for the indie Jiffy label to bluegrass enthusiast Bill Carrol during this period. This turned out to be a bit of bluegrass history as it was the acorn from which a grand tree known as the Rebel label grew. 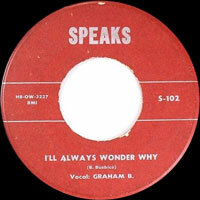 In the '60s, this label would make bluegrass history and help establish an entire new generation of artists. Busby seems to have his foot in bluegrass legend even when not intending to, in fact even when things happen that nobody would ever plan such as a car accident. In 1957, he and banjo hotshot Eddie Adcock got into a pile-up in the D.C. area and were hospitalized. A pickup band was thrown together to play a gig the pair had booked the next day, and that band worked out so well it turned into the Country Gentlemen, one of the biggest bluegrass groups ever. Busby continued selling his original songs and wound up producing a series of hits through the '50s and '60s. If country music thrives on melodrama and tragedy, Busby seems to be hitting the main vein with titles such as "Lost" and "This World's No Place to Live, But It's Home," while some of his other subjects suggest he might be writing music for a weatherman friend: "Cold and Windy Night," "Lonesome Wind," "Blue Vietnam Skies." There was also the playful side to Busby, which made him a natural for the kind of rockabilly material that many country and bluegrass artists of his generation toyed with. "Zzztt" was an off-the-wall regional single with Busby and partner Wink Lewis, and he also liked to produce entertaining instrumentals such as "Mandolin Twist" and "Talking Banjo." 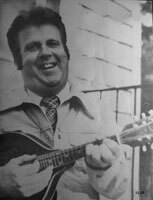 The hit songs, combined with a strong mandolin style, kept Busby working steadily on the country and bluegrass scenes, on his own and in the groups of artists such as Jim Eanes and Bill Emerson. Of special interest was a duo with wonderful banjo wizard Don Stover. Following a long battle with Parkinson's disease, diabetes, and major heart surgery in the early '90s, Buzz Busby died of cardiac arrest on January 5, 2003.